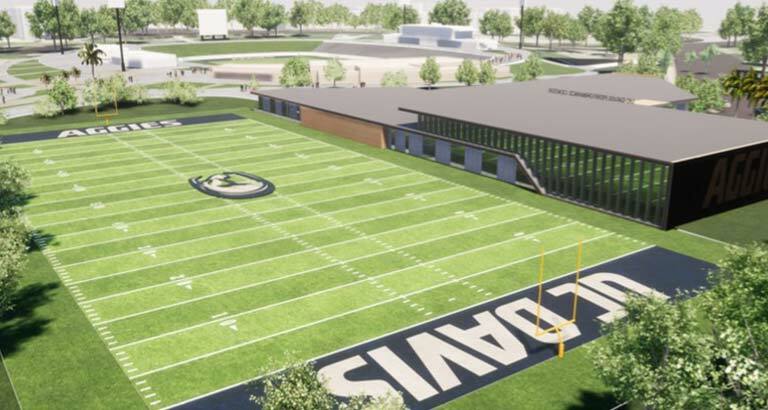 The University of California, Davis, announced on Thursday, November 15 that a new landmark student-athlete performance center will be constructed on campus to benefit its intercollegiate athletics teams and other campus programs. The development of the new center and expansion of health care services in Davis is part of a renewed commitment to the health of UC Davis students and the Davis community overall. 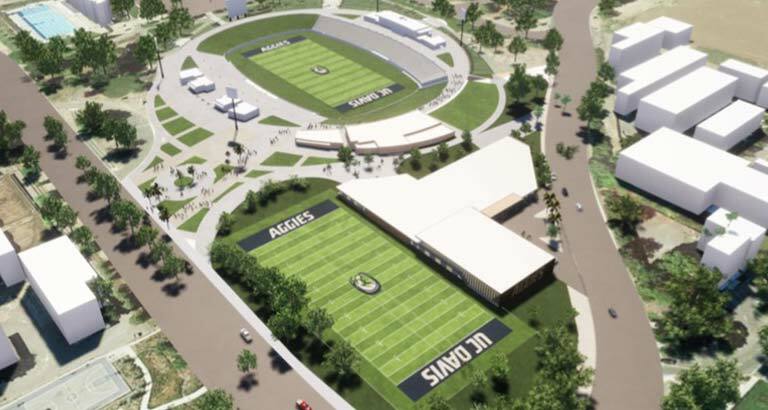 The UC Davis Student-Athlete Performance Center will include training facilities, a sports medicine center, a home for academic support and the Aggie EVO System, athletic offices for multiple sport programs, and a multi-purpose natural grass practice field. The facility will be comprised of approximately 38,000 square feet of new building construction. 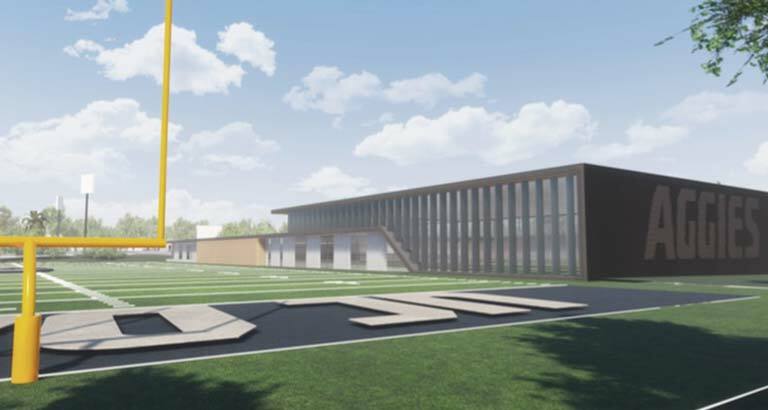 In addition, 16,000 square feet of existing space in the Bob Foster building will be renovated, and a new practice field will be built adjacent to the Center. "This collaboration between UC Davis Athletics and UC Davis Health is a strong example of how we work together for the benefit of our students," Chancellor Gary S. May said. "I'm proud of the University's commitment to investing in health care services and sports medicine in Davis." Approximately 90 percent of the expected $40M required for the construction project has been secured from a variety of sources. A generous gift by Bruce and Diane Edwards – the largest in UC Davis Athletics history – served as the lead private contribution. Bruce Edwards is a member of the Class of 1960 who played football and ran track for UC Davis. Other seven-figure contributions were made by Bruce and Marie West and Mike and Renee Child, devoted supporters of UC Davis who have served in a number of volunteer leadership positions with Intercollegiate Athletics and the UC Davis Foundation. In addition, multiple six-figure gifts were made during the quiet phase of fundraising. "We are pleased to partner with our generous donors, UC Davis Health, and campus administration to construct a facility that will have a transformational impact. The Student-Athlete Performance Center will help us meet existing programmatic needs, enhance the quality of services that we are able to provide our student-athletes, and further propel the overall upward trajectory of our athletics program," said UC Davis Athletics Director Dr. Kevin Blue. For more information about the Student-Athlete Performance Center and how you could help define the future of UC Davis Athletics, please contact Rob Norris at ronorris@ucdavis.edu or (530) 979-1746.